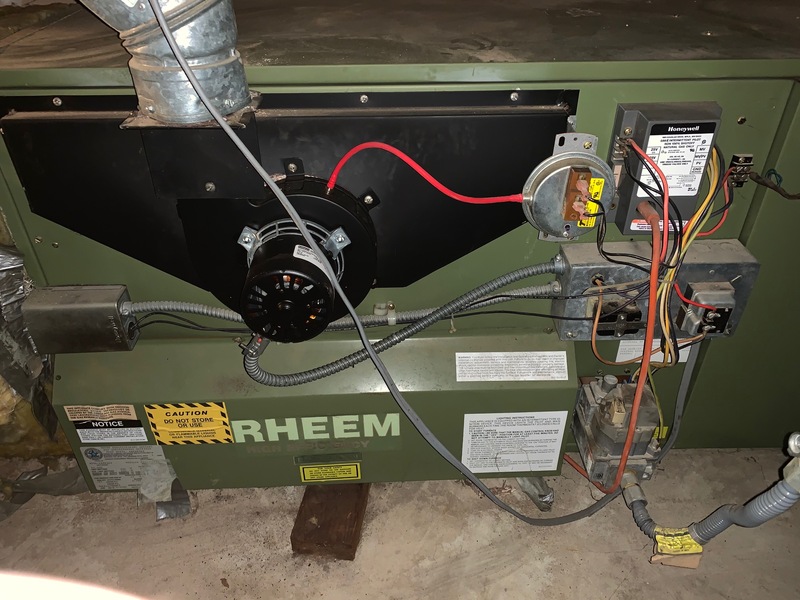 I have a two wire furnace. I’ve been doing a lot of research but haven’t found anything super similar to what I have at my house. I’m trying to find where to connect the c-wire. I have a couple of extra unused wires so I think I can just connect that to the c-terminal but I’m not 100% sure which one that is. 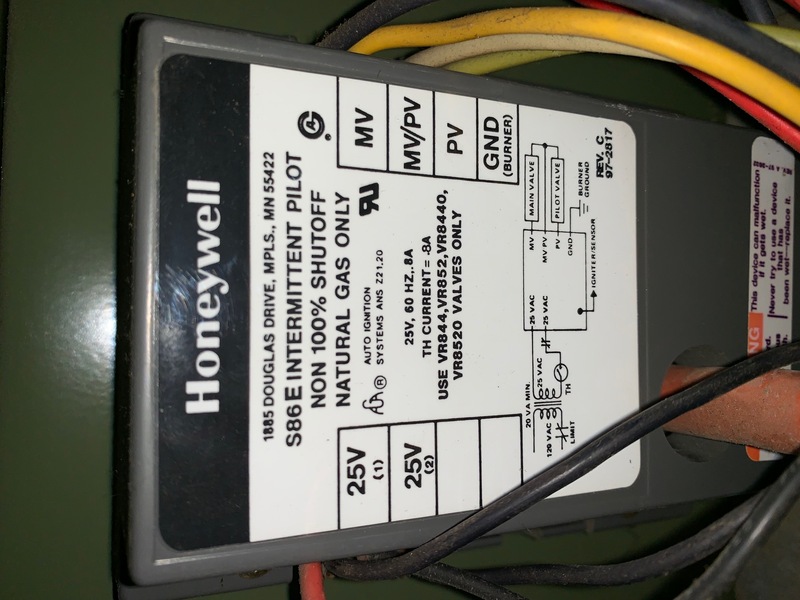 Based on my research it looks like maybe I could connect my Ecobee to the bottom 25V terminal? Your help is incredibly appreciated in advanced! From looking at your pictures I have extracted what appears to be the key parts. 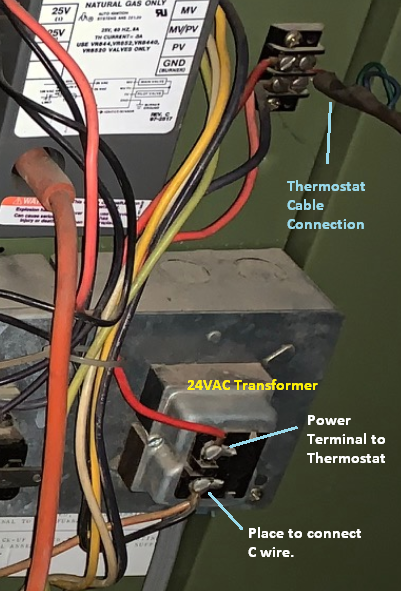 Please verify for yourself but it appears that the RED wire from the transformer goes off to the thermostat cable terminal block. 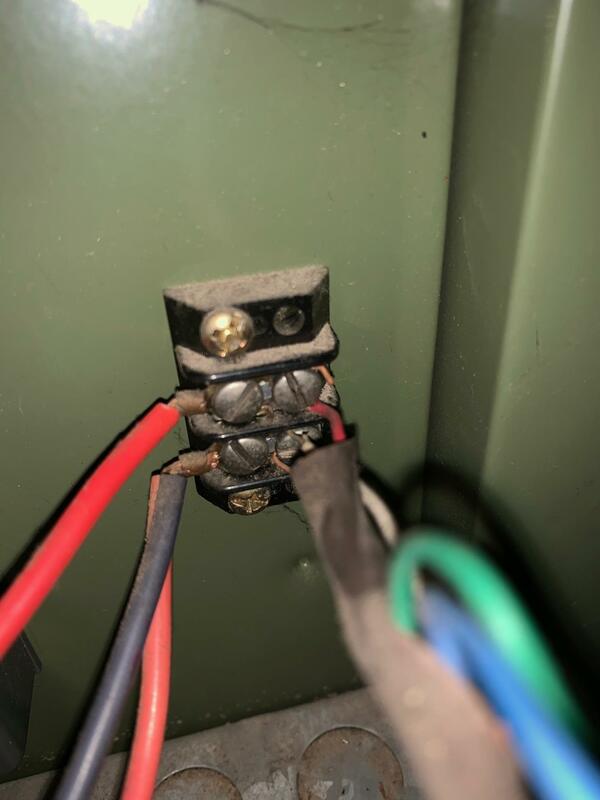 If that is the case then the opposite terminal of the 24VAC transformer would be where the C wire would connect. 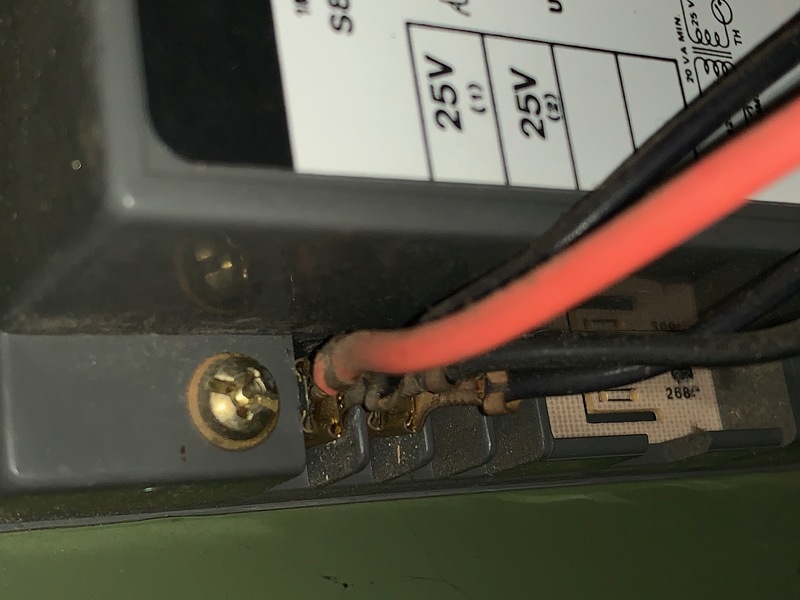 My suggestion for connecting to the transformer terminal, where there are presently a brown and a black wire connected, is to make sure the wires are terminated properly with spade terminals rather than trying to just twist a wire around under the screw. 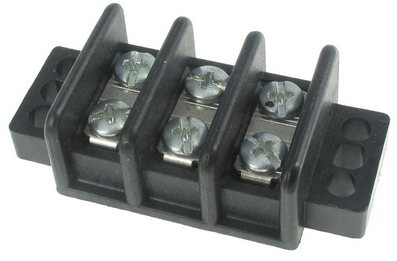 If you wanted to make this a clean upgrade you would look at changing out the current terminal block with one that has three positions. 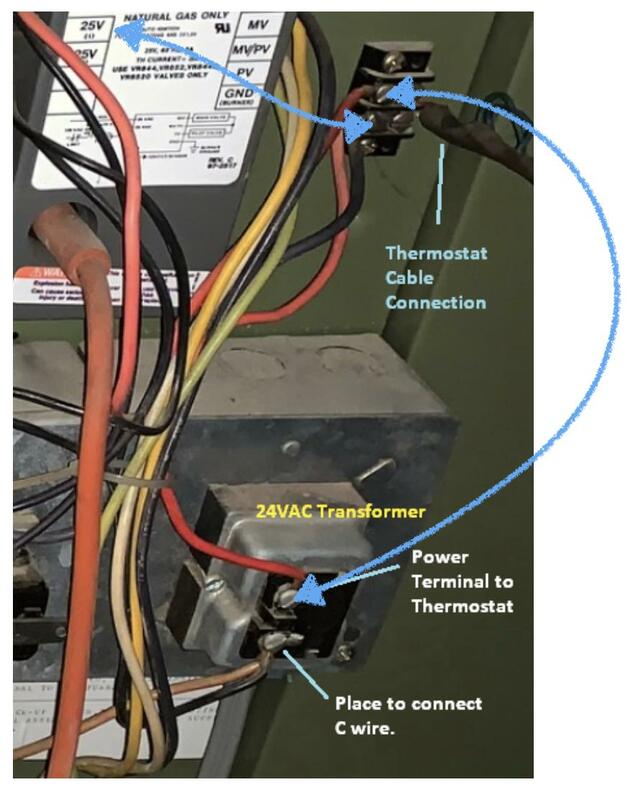 This way the thermostat cable can just terminate at the terminal block and you can add an additional wire from the terminal block over to the transformer. Not the answer you're looking for? 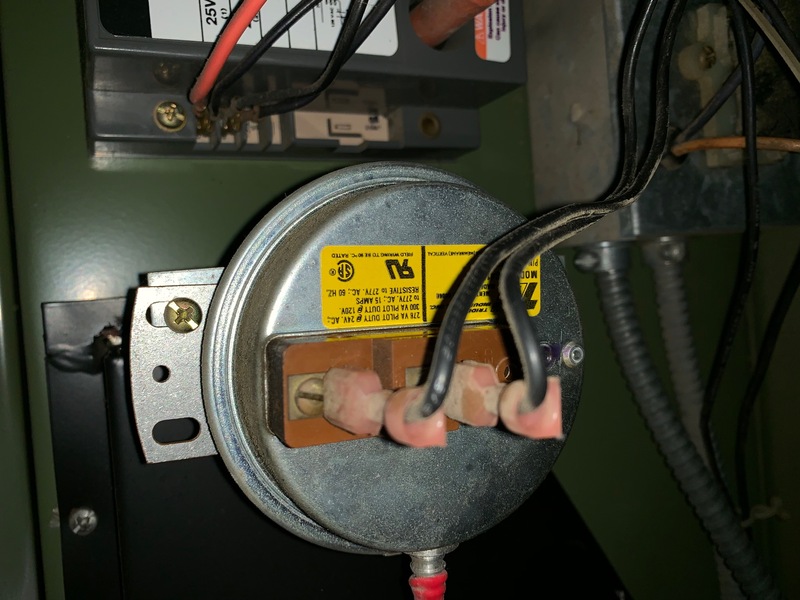 Browse other questions tagged furnace thermostat-c-wire or ask your own question.